The success of the energy transition underway will rely on our capacity to solve the following challenge: how to meet the world’s increasing demand for energy as it grows and prospers while also reducing drastically CO2 emissions? With a continuous effort towards decarbonisation, it is now given that the share of electricity in the world energy mix will continue to grow at a strong pace. 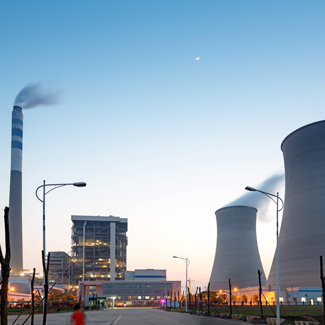 To sustain this growth, Assystem firmly believes that nuclear energy will be one of the cornerstone of this trend, as it is the only energy solution that can replace fossil fuels with low-carbon energy production while satisfying base-load electrical demand. In 2015, the International Energy Agency’s Technology Roadmap concluded that "Global capacity must more than double, with nuclear supplying 17% of global electricity generation in 2050, to meet the IEA 2 degree scenario for the most effective and efficient means of limiting global temperature." 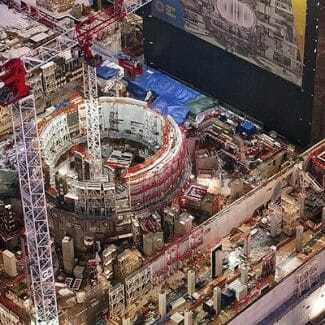 A major challenge for the nuclear industry is the lead time for implementation of new build programmes. The SMR (Small Modular Reactor) could be an alternative to the high power reactor. For the countries in need of low electricity demand and small grid, the SMR is an opportunity that allows them to increase their electricity production gradually by implementing one to several. Many facilities originally designed for a 30 years operational life are now being extended to operate for 40, 50 or even 60 years. Lifetime extensions must be justified on the grounds of both safety and financial viability. Replacement of components and systems can be undertaken to maintain adequate margins of safety but these require major investments and planning by plant owners. Nuclear operators can achieve reductions in operational costs and efficiencies by taking advantage of the latest smart technology. 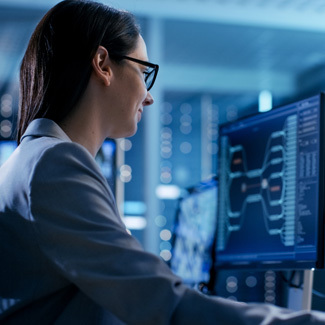 Digitised control systems combined with plant-wide sensors can provide greater operator insight into the status of the plant, enabling optimization of operating parameters and facilitating intelligent planning of maintenance activities. In a post-Fukushima context, safety & environmental issues have never been so challenging in the nuclear industry. 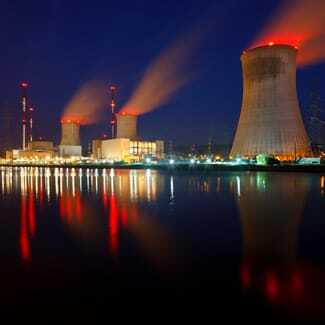 Expansion and renewal of nuclear power plants is conditional on the industry’s capability to continuously upgrade safety standards, as society’s tolerance to risk becomes lower. Consequently, adaptation of plant and demonstration of compliance to ever-tighter levels of safety and environmental legislation is an ongoing obligation for the industry. 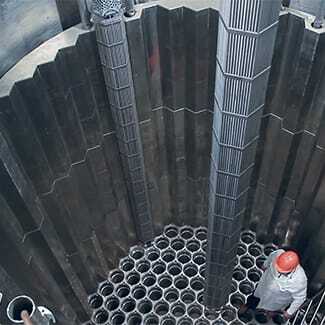 The design of new and highly efficient Generation IV type reactors, some using closed fuel cycles, could bring benefits in terms of reduced nuclear waste and higher fuel efficiency. Ranked in the Top 3 international nuclear engineering companies worldwide, Assystem has over 50 years of experience of working in complex and highly-regulated industries. The company was originally established to support the commissioning and start-up of the first fleet of nuclear reactors in France in 1966 and since then, has grown and diversified to acquire strong track records in other sectors including Automotive, Life Sciences, Energy & Infrastructures. Our commitment to the nuclear industry remains as strong as ever and Assystem is today recognized as one of the most prominent consulting & engineering companies worldwide in the nuclear business. Assystem is able to work with any worldwide technology provider in the nuclear industries in France, Japan, United Arab Emirates, Russia, Korea, India and elsewhere. With 2,800 nuclear staff worldwide, we are present in many of the countries that are actively developing nuclear energy, including France, United Kingdom, Turkey, Finland, Saudi Arabia and South Africa. We believe that decarbonized electricity and safety will be the drivers for sustainable energy solutions for the future. Our wide knowledge of European and Middle East markets, utilities and nuclear safety authorities is a valuable asset in supporting newcomers in the nuclear energy industry. 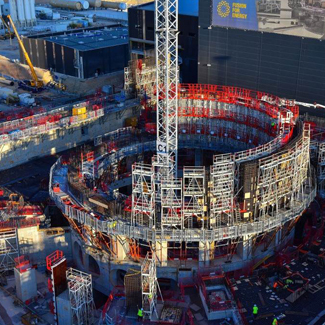 We participate along with private or governmental agencies in the development of the most advanced R&D projects across a wide spectrum of nuclear technology such as the fusion (ITER), the Generation IV (ASTRID) and the Small Modular Reactors. We help project owners with their new build projects and the overhauling of existing plants. 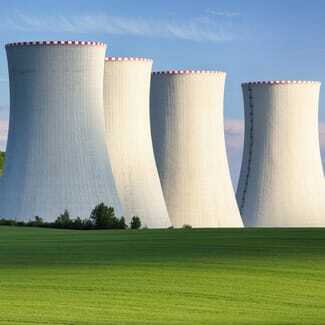 We manage all PWR (Pressurized Water Reactor) technologies & VVER (Water-Water Energetic Reactor) models. We have the necessary engineering skills for all stages of the nuclear cycle, from fuel production through to reprocessing and disposal of spent fuel. We develop innovative methods for faster, safer and cheaper decommissioning, such as retrieval, packaging, treatment and storage of waste. We also develop digital applications for better anticipation in decommissioning projects. 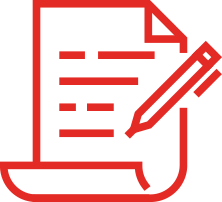 "The current issue is to implement a new, interoperable, pooled data repository in order to ensure better project management and imagine new approaches to operation and maintenance. "